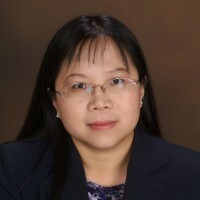 Yan Gong, Ph.D., is an Associate Professor in the Department of Pharmacotherapy and Translational Research at the University of Florida (UF) College of Pharmacy and the UF Center for Pharmacogenomics. Dr. Gong received a Ph.D. in Pharmaceutics in 2004 from Department of Pharmaceutics, College of Pharmacy at UF. She also obtained a Master’s Degree in Statistics in 2003 from UF Department of Statistics. Before joining the UF faculty in 2005, she completed one year of post-doctoral fellowship in Cardiovascular Pharmacogenomics at the UF Center for Pharmacogenomics. Dr. Gong’s research focuses on pharmacogenomics and disease-gene association that may be relevant to pharmacogenomics. The majority of her research so far has centered on Pharmacogenomics of hypertension and cardiovascular adverse outcomes. Dr. Gong has been an investigator on multiple randomized controlled hypertension clinical trials such as International VErapamil Trandolapril Study (INVEST), Pharmacogenomic Evaluation of Antihypertensive Responses (PEAR) and Pharmacogenomic Evaluation of Antihypertensive Responses (PEAR2). Over the years, Dr. Gong has also developed interest in pharmacogenomics of serious adverse drug events. She is currently collaborating with local and international investigators on the pharmacogenomics of medication-related osteonecrosis of the jaw (ONJ) and most recently pharmacogenomics of cardiomyopathy associated with targeted cancer therapies. In addition to research, Dr. Gong has been involved in teaching multiple graduate level and professional level courses at the University of Florida, College of Pharmacy and College of Medicine. She is currently the course coordinator for Pharmacogenomics (PHA6449), a required graduate level course at the College of Pharmacy. Gong Y, McDonough CW, Beitelshees AL, Rouby NE, Hiltunen TP, O’Connell JR, Padmanabhan S, Langaee TY, Hall K, Schmidt SO, Curry RW Jr, Gums JG, Donner KM, Kontula KK, Bailey KR, Boerwinkle E, Takahashi A, Tanaka T, Kubo M, Chapman AB, Turner ST, Pepine CJ, Cooper-DeHoff RM, Johnson JA. PTPRD gene associated with blood pressure response to atenolol and resistant hypertension. J Hypertens. 2015 Nov;33(11):2278-85. PubMed PMID: 26425837. Hamadeh IS, Ngwa BA, Gong Y. Drug induced osteonecrosis of the jaw. Cancer Treat Rev. 2015; 41 (5), 455-464. PubMed PMID: 25913713.